The investment bank raised its forecast for copper prices to average $6,750 per tonne in the near term, up from $6,200. Copper prices have surged more than 27 percent since the start of the year and “the gains are justified,” Goldman Sachs (NYSE:GS) says. The red metal has been trading above the $7,000-per-tonne mark since last week, supported by a weaker US dollar and investors’ optimism about global growth prospects. “We believe the current level of copper prices is largely justified by strong and synchronous global growth, the US dollar depreciating and repeated disappointments in copper mine supply,” Goldman analyst Hui Shan said. As a result, the bank upped its forecast for copper to average $6,750 per tonne in the near term, up from $6,200. Goldman also raised its average 12-month target to $7,050 from $5,500. 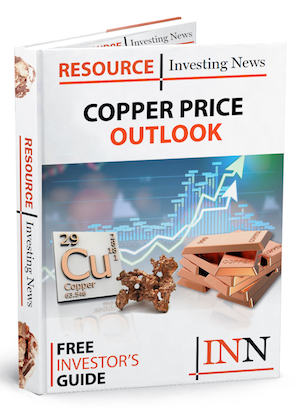 “Combining our supply and demand balance forecast with our forward views on growth and currencies, we believe the 2011-2016 surplus market is over and copper is poised to go higher, with the potential to surpass $8,000” by 2020,” analysts said. The Wall Street bank also reviewed its deficit forecast for the market, estimating a shortage of 130,000 tonnes in 2018, as strong global growth helps boost demand. Goldman had previously estimated a surplus of 150,000 tonnes for the same period. Meanwhile, analysts polled recently by FocusEconomics estimate that the average copper price for Q4 2017 will be $6,111. The most bullish forecast for the quarter comes from ANZ (ASX:ANZ), which is calling for a price of $6,800; meanwhile, Unicredit is the most bearish with a forecast of $5,200. On Tuesday (October 24), LME copper hit a one-week high of $7,123 per tonne, closing 1.3 percent higher in London at $7,094.50. 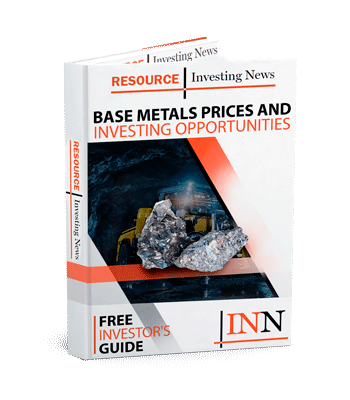 For investors interested in copper, the Investing News Network recently put together a list of the best copper stocks on the TSX and the TSXV. And don’t forget to check out our copper price update for Q3, which includes an overview of the factors impacting market and what’s ahead for the rest of the year.